Roll-Rite Tarp systems are in stock at BENLEE. We have many tarp systems and replacement parts on the shelf for same day shipment. We even have Roll-Rite tarp parts on our company store site for you to buy 24/7, at http://www.benlee.com/. Of course we have many other roll off trailer, roll off truck and dump truck parts, including hydrualic cylinders, valves, sheaves, wire rope cable, etc. You can also call us at 734-722-8100 for Roll-Rite tarp parts and many other roll off trailer parts. We have all arms, motors and more, including the motor 10120 and arm 76760! Roll off Trucks are great for getting into tight spots; roll off trailers are known to be 40′ long. BUT now the BENLEE Super Mini is only 25’11” long, so when put behind a tractor, it is about 36′ long vs. a Roll off Truck is 35′ long, but the Super Mini, when part of tractor trailer, pivots, so it gets into a tighter space and it carries more weight. A really great roll off trailer. 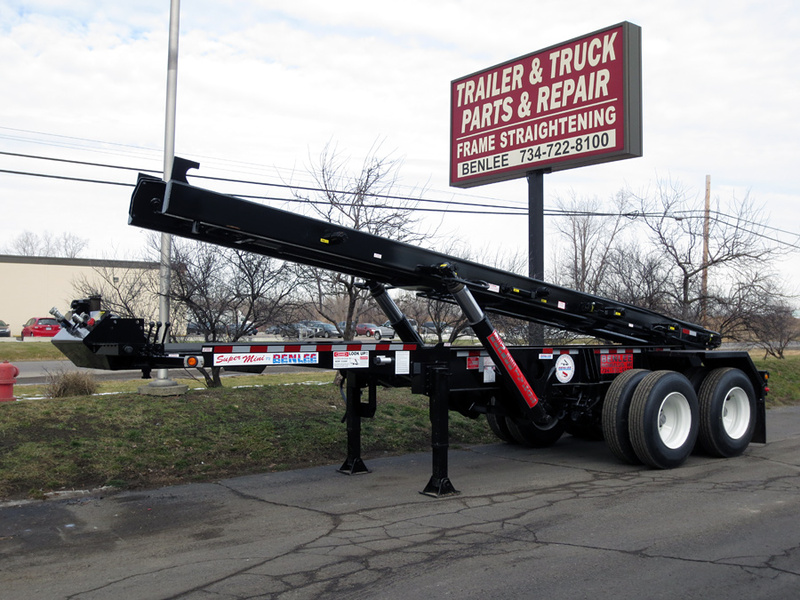 Hey and we have roll off parts for all your roll off trailers and roll off trucks!